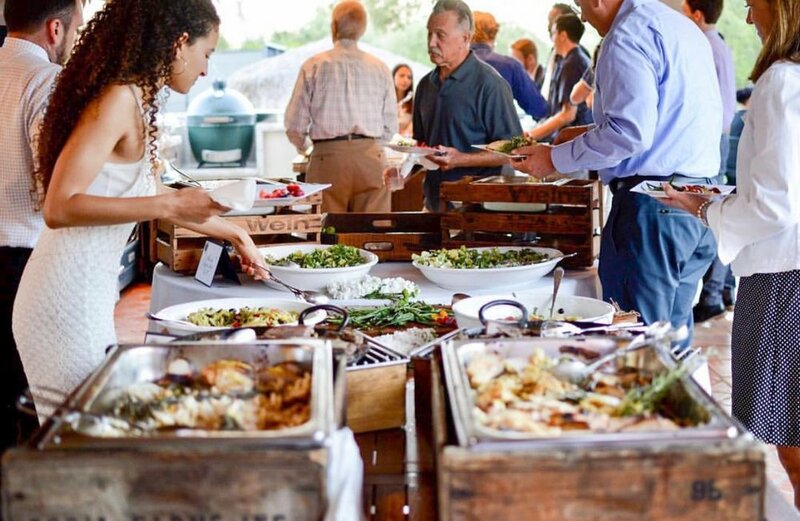 We are fortunate to have all of our clients come to us because they’ve attended a party we’ve catered or as a referral from someone who attended one of our catered events. As a result, we are often asked to duplicate what they’ve recently enjoyed. Compiled here are the top ten, most popular menus we cooked last year. You may find one that is perfect for your upcoming event. They can also be a source of inspiration for designing a custom menu for your special day. The prices you see are approximations. The number of guests you have; the level of formality you would like (plated versus buffet style); and the number of staff required to service your event are all variables to consider.